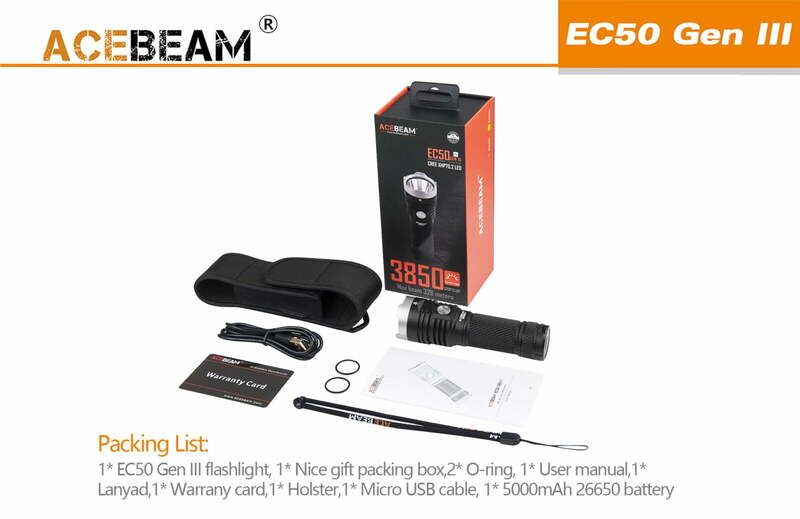 Home / Stage Lighting / All Disco, Mobile, Stage Lighting / Acebeam EC50 Gen III LED Flashlight CREE XHP70.2 – 3,850 lumens AMAZING! 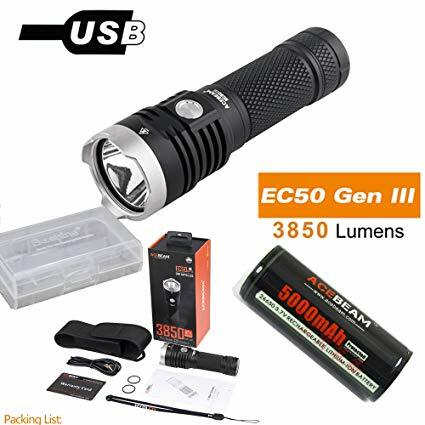 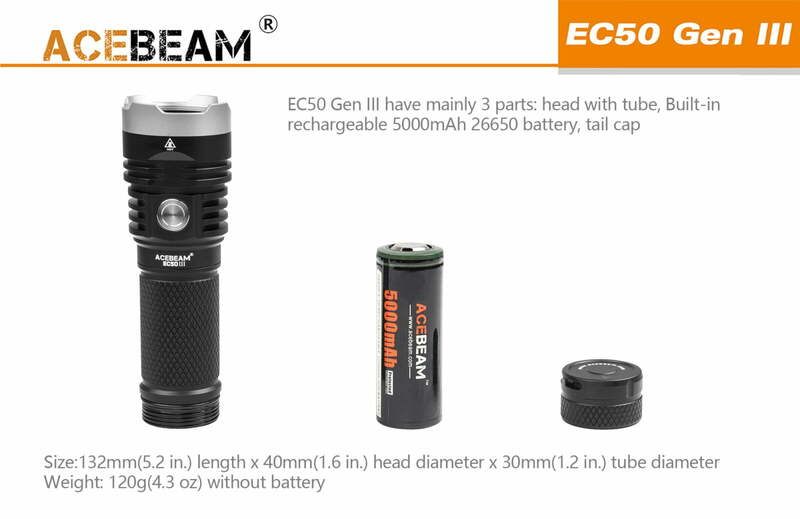 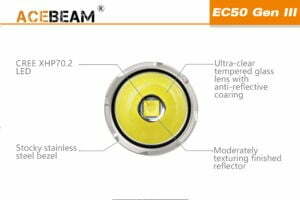 The Acebeam EC50 Gen III LED Flashlight is an updated version base on early one; now equipped with a powerful CREE XHP70.2 LED and powered by 1 x 26650 rechargeable Li-ion battery. 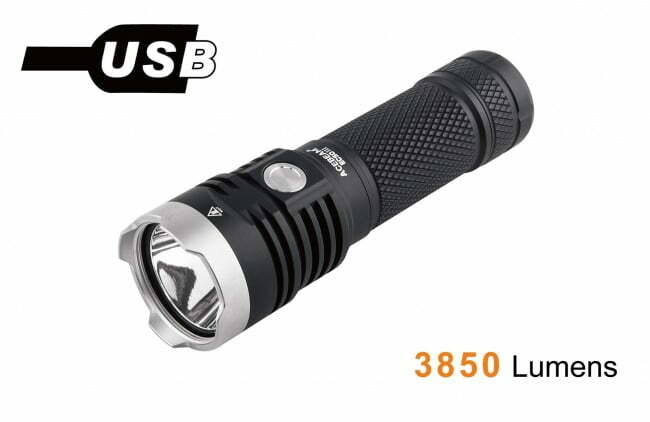 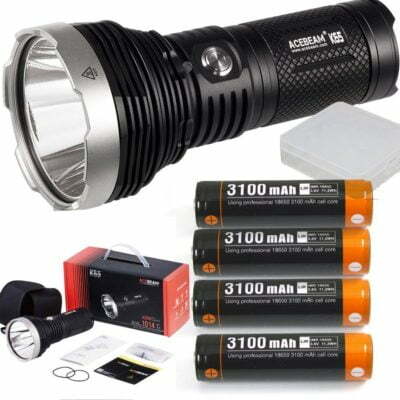 It is an ‘Everyday Carry Flashlight’ with a maximum output of 3,850 lumens; and a beam throw of 326 Meters. 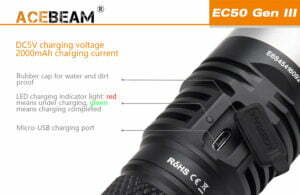 It has a compact size, (Length 13.2cm=5.6in.) 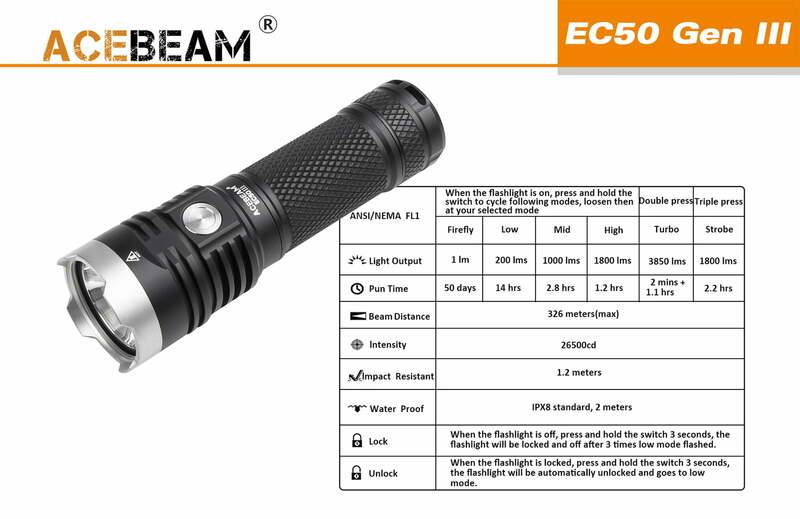 and lightweight (120g). 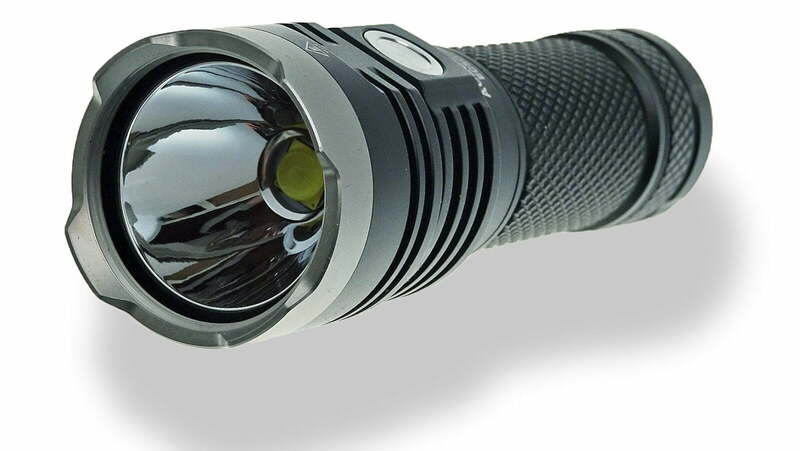 Also; redesigned massy bezel making this torch your super personal body guard for daily use! It is absolutely blinding! 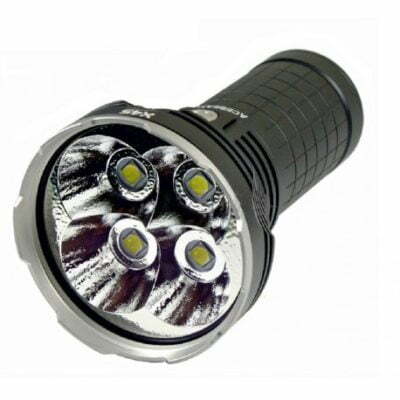 Uses can suit all outdoor and professional activities; and a simple press on the side switch is all you need to select output. 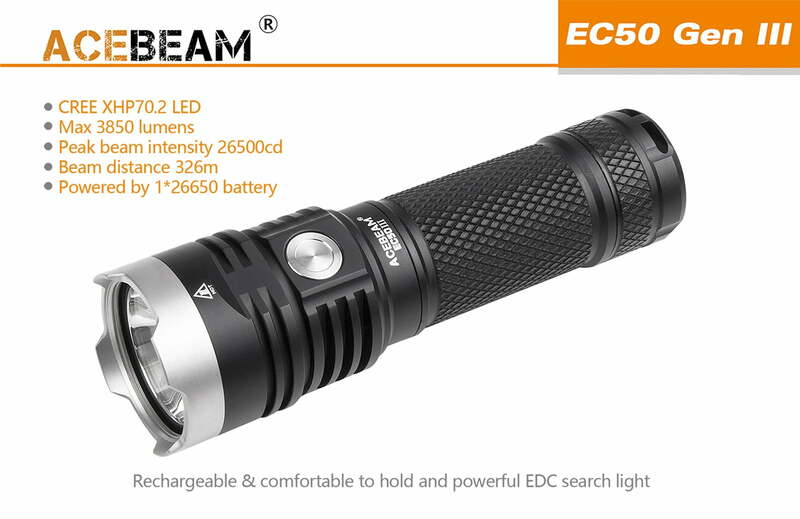 It is the brightest EDC flashlight and integrates high performance and long standby time. 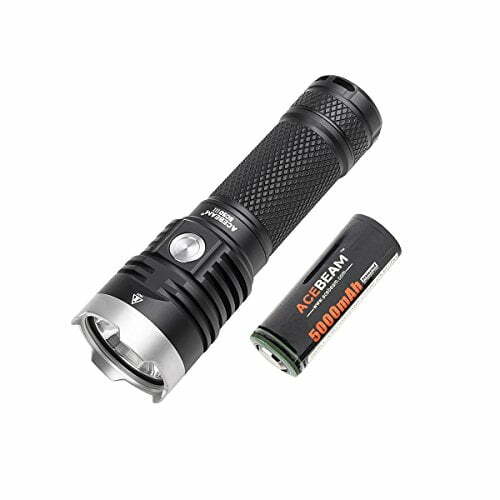 Adventurers and flasholics are very excited to own the Acebeam EC50 Gen III LED Flashlight. 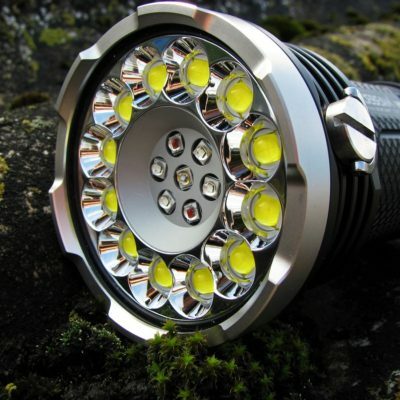 Great for Camping, Farming, Rambling, Self-Defence, First Aid and lots more!